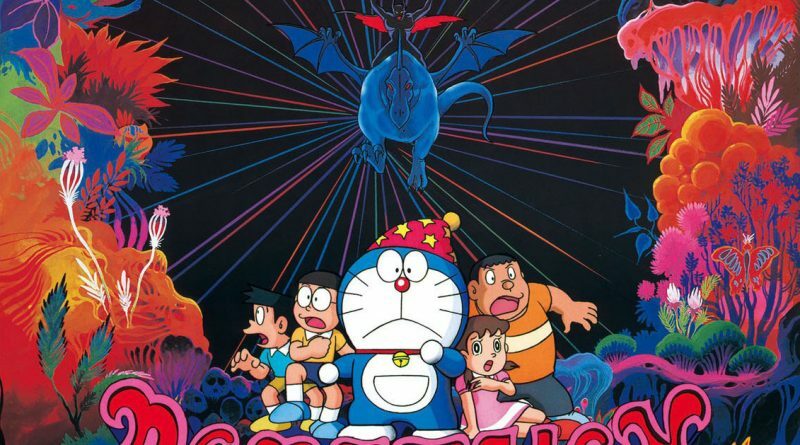 Doraemon Nobita’s Great Adventure into the Underworld movie was released in Japan in 1984. This movie was the fifth one in the series and it used graphic technology. People really loved the film and it ended up earning about 1.65 billion yen. In the year 1984, this was the highest grossing film in Japan as it was watched by 3 million people. In 2007, a remake of this movie was made. In Doraemon movie Nobita’s Great Adventure Into the Underworld in Tamil, Nobita asks Doraemon for the Moshimo box. With the help of this box, he wishes for the use of magic to be possible in the world. Instead of science and technology, people become involved in witchcraft and start using magic in their daily routine. Since Nobita cannot cast spells so well, he decides that he wants the world to be back to normal. The problem is that his mother has already thrown away the box. In Doraemon Nobita’s Great Adventure Into the Underworld movie, the clan learns about a Professor of magic and his daughter. He tells them about the star of the Underworld which would destroy the earth. Nobita and his friends go on a quest to save the world but Miyoko; the Professor’s daughter is captured. So, with the help of a time machine, Nobita and Doraemon go back in time to make the world the same as it was before the use of Moshimo box. Things are not fine yet because in the Parallel universe, Miyoko is still a captive and the group must save her from the tyrannical ruler of the Underworld. Doraemon Nobita’s Great Adventure Into the Underworld in Tamil is a great watch that will make your movie night very interesting.